Many people walk into a gym, thinking it will be another quick fix or miracle program that will change their life in 6 weeks because that is what the crumby health/fitness commercial industry has been selling us for years – but here is some gentle words of wisdom; it takes large amounts of hard work to adopt a healthy and active lifestyle! It requires effort, desire and passion to not only achieve but a constant rigor to continue to maintain for progress that goal to the next level. And… WE ALL have the ability to do so, it’s our responsibility to provide the tools, motivation and guidance to get you there but you must walk the path. Everyone knows themselves best, so come in early and use the time before class for some do-it-yourself (DIY) movement prep. Focus on problem movements or tight areas and utilize proper warm ups and mobilizations such as light stretch, foam roll or lacrosse balls to open up that tissue. There are always coaches on-hand to help, recommend or even customize a movement/mobility prehab/rehab program. You’ll be amazed in the difference 5-10 minutes of targeted effort can make. Working out without a log is like driving through a foreign city without a road map. Having quantitative data and qualitative notes from previous workouts helps you and your coach make load and scaling suggestions. 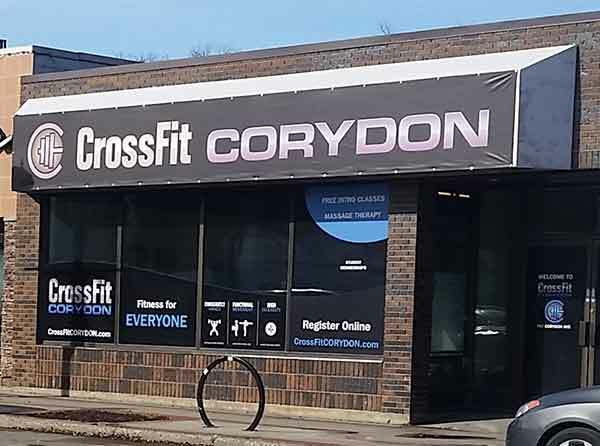 CrossFit Corydon makes this easy for you by having Wodify at your fingertips every workout! Even if you’re doing stuff outside the box (lifting, cardio, etc.) you can still enter in your performance and track it. Start slow and emphasize mechanics over load. We take our training seriously and with that comes with a good deal of responsibility. Our movement pool uses serious and potent strength and conditioning exercises in order to develop broad, inclusive and general fitness. If we don’t treat these movements and workouts with respect, training plateaus and injuries are sure to follow. The best way to ensure your success and training longevity with us is by starting slowly and developing a rock-solid technical base. In fact, the first few months you start CrossFit, intensity should not be a significant concern. The movements are potent enough that just consistently performing them WELL will create a favorable adaptation. After you feel really comfortable with most of our exercises and have a working knowledge of your weights, only then should you start ramping up the intensity. Training with a lifelong perspective is incredibly important. Remember that you’re here to build yourself up, not break yourself down. Scaling workouts properly, listening to your body and checking your ego at the door will allow you to work out successfully for years to come. Most importantly USE YOUR FITNESS! Have fun with this stuff, enjoy the process and apply to real life. Go running, swimming, rock climbing, surfing, play with your kids or grand kids, farmer carry water jugs, do handstands against random walls, play dodge ball, join a rec league sport.. Do anything and everything you can fit in your life to maximize your enjoyment and new skills and abilities! After a high volume week, such as the first or last few weeks of a new training cycle, or if your rest/recovery and post-workout stretching is not consistent you may feel DOMS symptoms. It’s normal, read about it and work through it. Matt is working on his Bachelor of Kinesiology at the University of Manitoba and is an Assistant Strength and Conditioning coach with the Bison Football team. He is working towards multiple certifications (CEP & CSCS) and plans to attend the CrossFit Level 2 Seminar in the very near future. 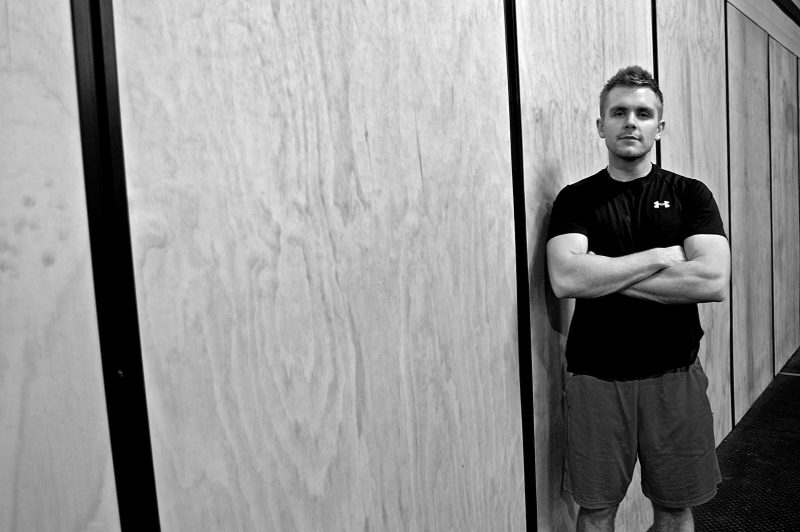 He has a passion for providing a high level of CrossFit coaching, sport performance training, injury prehab/rehab exercise and movement quality enhancement. He is constantly improving his coaching ability by reading training books, listening to podcasts and attending University on a daily basis. He believes CrossFit is one of the best ways to enhance not just your fitness, but more importantly, your quality of life – you get to learn new things and improve your fitness with great people in a supportive and efficacious environment.